Hire battery articulated boom – direct now from CherryPicker. Our indoor machines feature non-marking tyres suitable for finished flooring, ideal for indoor use and on level ground. The JiB models provide extra working range which is perfect for working at a height. Get the reach and reliable performance you need to get the job done for indoor, outdoor or rough terrain applications, there’s a battery articulated boom available for you to hire, no matter what the job. 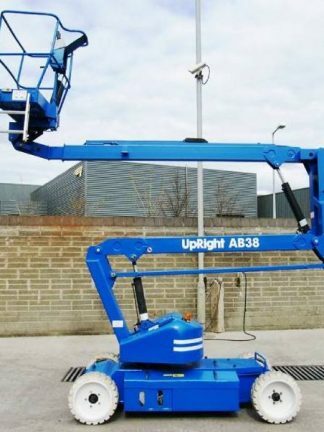 Here, at Cherry Picker, we have over 20 years experience supplying battery articulated booms to the Irish market, in Dublin and the surrounding counties. Call Cherry Picker on 1890 228 229 or 01 835 4788 and let our experts help you choose the right access platform to meet your needs.